I took the Skybus to the airport on Tuesday and we drove through the backblocks of the airport, past the new freight warehouses. I saw the trucks backed up to the loading docks, like I imagine they would have been at the Goods Shed when the freight trains were loaded and unloaded from the centre of the shed. 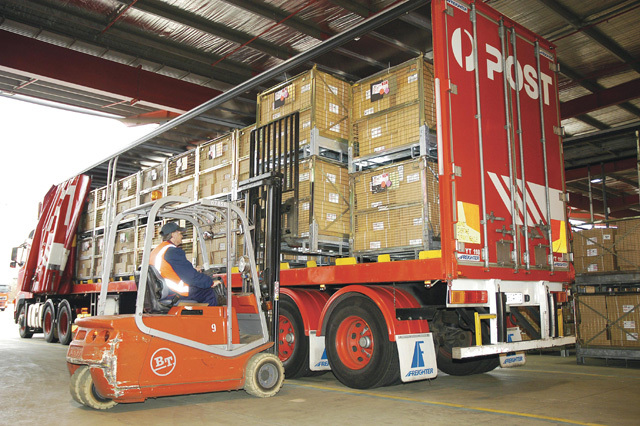 As a child I remember going with my mother to pick up a parcel from the local suburban train station  and now I wonder what we would need to do to replace all of the trucks and vans delivering our internet purchases. I want more freight to travel by train. I want the freight train system to make enough money to provide the infrastructure so I can catch a train to Adelaide on a service that operates more than twice a week and takes less than 10 hours. I want to be able to nominate a train based freight service when I buy my box of “vegan-friendly” toothbrushes. I wonder if some sort of sharing economy like service would drive the development of the infrastructure we need to make this a reality? What if we had parcel boxes at train stations? Could we start a social movement (no pun intended) carrying our neighbor’s parcels from the city train stations to the suburbs? Could people carry an extra suitcase of stuff when they take the train from Sydney to Melbourne? Would it catch on to the point where people are deliberately catching trains to deliver parcels? And then would big biz notice and start building train based freight infrastructure like the warehousing, terminal expansion and the extra (freight only) runway at the airport? Whatever the future holds, we need to identify and promote the small things that will move the status quo to the world we want to have.